Brasserie Cordonnier presents their very own Culinary Tour de France. Be prepared to depart on a gastronomical journey, starting on the 7th of April spanning across 15 French regions, every second Sunday until the 20th of October. The annual Tour de France is a bicycle race that takes place all across France. Our Head Chef, Matthieu Colariccio plans to take you on his very own spin of the tour. 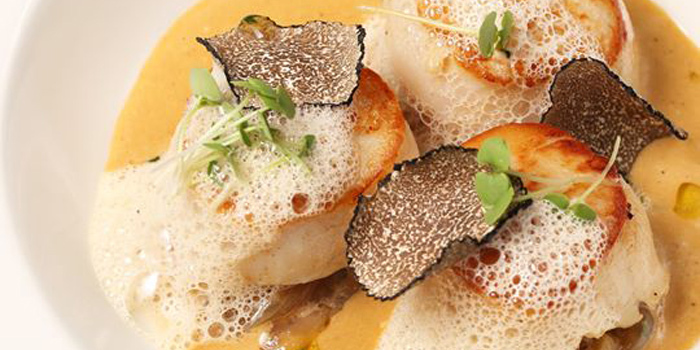 Fifteen 3-course menus, each focusing on speciality dishes from a particular French region, served for only 1,200 THB net. Indulge in a variety of regionally selected cheeses including, Fournaise cheese for your time in Les Antilles, Reblochon cheese in Savoie and Brocciu cheese while feasting in Corse. The cheese course is optional for an additional fee of 250THB net. Not only that, Soho Hospitality’s guests will also be receiving their very own Tour de France passport, along with a boarding pass to signify their travel to each gastronomic destination. Passengers will have their boarding passes stamped upon arrival and frequent flyers will also be able to collect boarding passes as they continue their culinary journey. Get 25% off your fifth Culinary Tour de France menu and 50% off on your tenth menu. Date: Every second Sunday from the 7th of April till the 20th of October 2019. 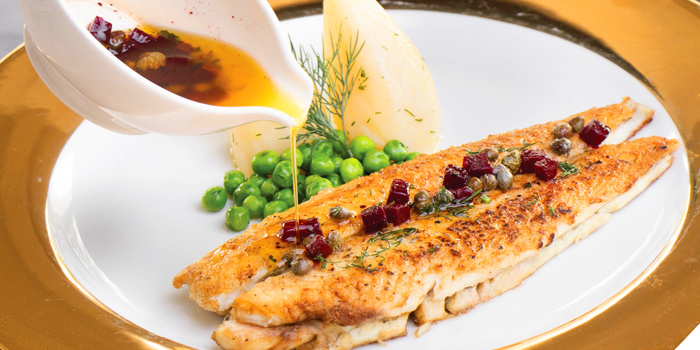 Get a slice of the authentic Parisian dining experience when you step into Brasserie Cordonnier. 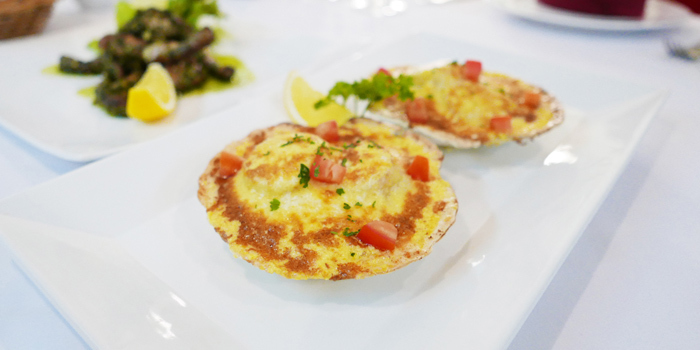 Featuring a menu of mouthwatering French eats and beautiful interiors that conjure up the atmosphere of a traditional brasserie, let’s just say you won’t have to travel halfway across the world to indulge your inner Francophile! 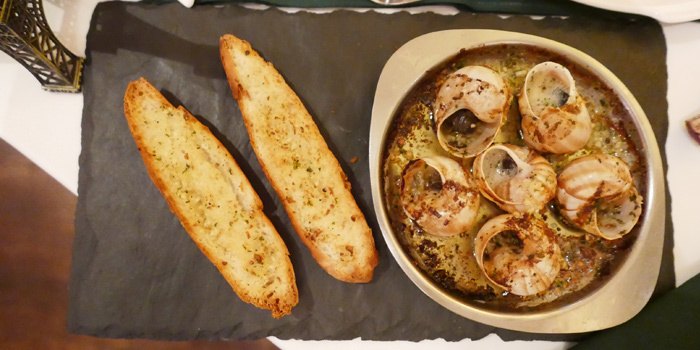 Start your meal the French way by having delicious bites like the Cheesy mushrooms duxelles & truffle oil eclairs, Homemade pork terrine or Duck rillettes. A must-try wine and beers pairing dishes to enjoy with friends and family. Savour every spoonful of the restaurant’s delicious French onion soup, a classic if there ever was one. Never stinting on the Emmental cheese, this dish can serve as great comfort food and a thoroughly satisfying way to begin your meal. For the mains, Brasserie Cordonnier does a mean Sautéed cod, where fresh and firm helpings of cod are accompanied by crushed potatoes, shallots, and a fragrant brown butter sauce. You also won’t regret ordering the Duck breast Rossini style (topped with pan seared foie gras! ), a hearty option for meat lovers to sink their teeth into. End your meal with an Apple Tarte Tatin, a crisply sweet-and-sour combination of red apples, puff pastry, and cinnamon The restaurant pays loving homage to the French art of living and you’re guaranteed an interesting and enjoyable dining experience if you pay it a visit! • Not applicable for Tasting Menu. 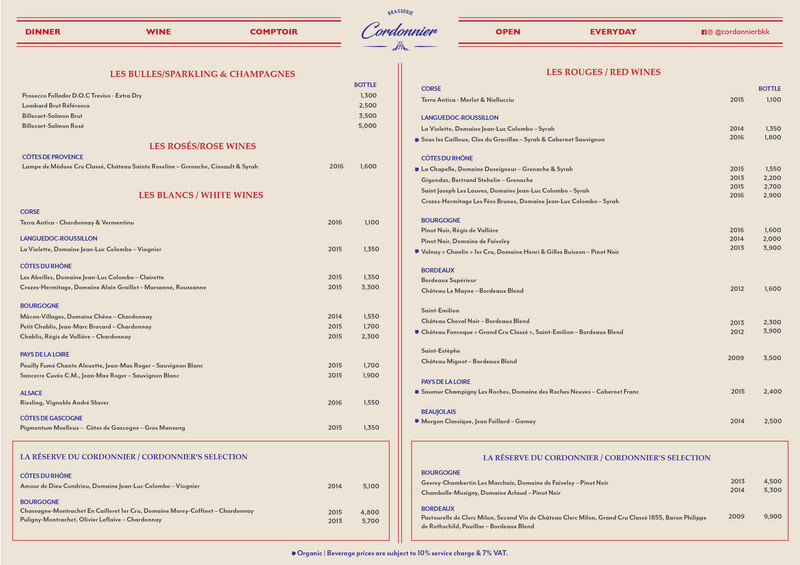 Enjoy great deals on exclusive days of the week at Brasserie Cordonnier!